We're having a Yard Sale and someone donated these to be sold. I have no clue to ask for $5 or $50. Would anyone know what a fair asking price is on these? Thanks in advance. 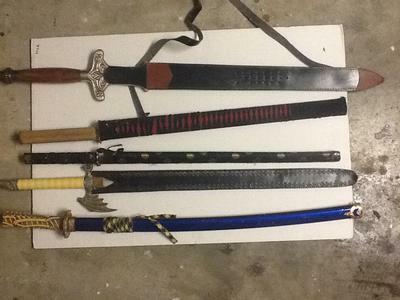 The swords in the picture are basically fairly straightforward "wallhanger" decorative pieces. A fair price would be $5 to $10.